Hoarding is a common situation that affects millions of people throughout the country. Hoarding is classified as a mental disorder and it can be very hard to deal with for the individuals who are affected by it. 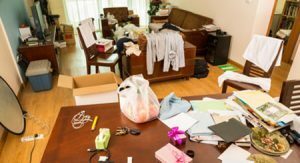 Hoarding often involves high anxiety that can cause a person to develop an inability to part with their personal items. 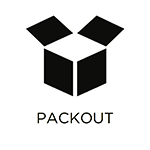 This could result in a very large collection of assorted objects, like books, garbage, and knick-knacks. Since this is done on such a large scale, the collection of items often creates fire hazards in the home and could result in injuries. Those affected may also experience health problems due to growing bacteria, mold, or other biohazard materials that may be hidden within the hoarded items. Because hoarding is such a sensitive discussion, it requires a respectful and discrete approach to help you and your loved ones. ServiceMaster All Care Restoration provides hoarding cleaning services in Scottsdale, AZ to help families affected by hoarding. Our technicians are well trained to safely handle all levels of hoarding cleanup and we offer a variety of services to bring the home back to livable condition. We provide exceptional cleaning of all surfaces and disposal services for any item. We take special care if we find biohazard materials like bodily fluids or chemicals to eliminate any potential health concerns. We promise absolute professionalism when it comes to these situations, treating your loved one with respect and compassion. Decontamination: We provide exceptional sanitation and removal of any contaminates. Odor Removal: We offer superior deodorization of your home, removing odors at their source and freshening the air. Proper Disposal: We make sure to take care in handling all unwanted materials and disposing of them properly. Those affected by hoarding often don’t get the support they need. This can be hard to admit and they need to be surrounded by the understanding of loved ones to get them the assistance that they need. We understand that this is a very delicate situation, so we take the time to create a bond with the individual before we begin the cleanup process. If you or someone you know is struggling with hoarding issues in Scottsdale, AZ and needs assistance, contact ServiceMaster All Care Restoration. You can call us anytime at (480) 717-3030 for more information about our hoarding cleaning services.